… and they put a lot of effort into trying to get it accepted by the judge, A ROUTE THAT WAS NOT LEGITIMATE AND ONE FOR WHICH NO NOTICE WAS PROVIDED TO LANDOWNERS AND WHICH HAD NOT BEEN REVIEWED IN THE DEIS. They pushed hard to get that in, it’s all in the record. Oh my… somebody’s in trouble. The good news for those surprised landowners is that the route, because it wasn’t properly vetted and because there was no notice to landowners, cannot be considered by the Administrative Law Judge and it cannot be considered by the Public Utilities Commission. And the other good news is that the landowners now know and can now hold the township officials who are responsible accountable for trying to screw them over. Can you spell R-E-C-A-L-L? Can you spell R-E-S-I-G-N? The green line is something new that they made up. When asked if they provided notice, Broberg said that they had talked about this at the Planning Commission meeting the night before (that would have been June 20, 2011). Oh really? Let’s see the minutes for that meeting!!! McGhie & Betts put together this map… at whose behest? Who authorized that they draw that line and spring this route proposal on us at the last minute? Who came up with the idea? Who advocated for it? Who made the motion to go forward? Who voted for it? Who voted against it? Who notified who? Did they notify landowners? No. Did they propose this at an Advisory Task Force meeting or in a scoping comment? No. Has this been evaluated in the DEIS? No. BURP! Suddenly that canary was a bit of a problem and Broberg was choking on it. Questions… Inquiring minds want to know… Paige Collins has testifed a number of times at public meetings and hearings. She has said she’s on the route. She testified in Pine Island public hearing as a member of the Oronoco Township Planning Commission… Did she play a part in that Planning Commission discussion Broberg referred to? Did she recuse herself from this Planning Commission discussion on June 20 where Broberg discussed Exhibit 89, their “new” route? Are there other directly affected landowners involved in the Oronoco Township decision to go forward with Exhibit 89? That was just a compilation of several previously proposed and evaluated route options, and it was entered with no objections, no problem, it’s old news, and for sure, it was not entered with any fanfare on the part of Oronoco Township, not like their Oronoco Township Exhibit 89. ORONOCO — Leaders in Oronoco Township hope to force more of a proposed $500 million high-voltage transmission line into Wabasha County, but the state government shutdown will delay any decisions. “We’re not fighting it — we’re fighting the way it would affect our township,” said Mark Thein, supervisor of the Oronoco Township board of trustees. A consortium of utilities owners and transmission line operators in the upper Midwest called CapX2020 plans to build a series of power lines across Minnesota as part of a national initiative to improve grid reliability and increase the amount of power available to the Rochester and La Crosse, Wis., markets. The lines would connect power plants in both Dakotas with Minneapolis, Rochester and La Crosse. It’s necessary, they say, to ensure that utilities can meet electricity demands of customers until at least 2020. Developments such as the Elk Run biobusiness park in Pine Island and a planned Mayo Clinic data center north of Rochester will draw huge amounts of electricity that will further drain an already stressed electricity grid, said Tom Hillstrom, the permitting manager for CapX and an employee of Xcel Energy, CapX2020’s largest backer. Representatives for Oronoco Township say they, too, recognize the need. They just object to CapX’s proposal to run it across their land. The board of trustees for Oronoco Township has filed legal papers that give the board and its representatives a seat at the table during public debate and at future hearings before the Public Utilities Commission. With that legal muscle, the township board proposed a route that “splits the baby,” said Jeffrey Broberg of McGhie & Betts Environmental Services of Rochester, a consultant hired to represent Oronoco. Broberg’s proposal would have the line run from east from U.S. 52 just south of Minnesota Highway 60, then turn south near U.S. 63 before following state Minnesota Highway 247 east toward the Mississippi River, where it will cross the river between Kellogg and Alma, Wis.
Broberg said the proposal will balance environmental impact with general nuisance. It will ensure recreational use of Lake Zumbro and minimize impacts to trout streams along the path while diminishing the number of people affected. About four times as many people in Olmsted County would either have power lines on their property or be able to see them than people in the more agricultural Wabasha County, Broberg said. 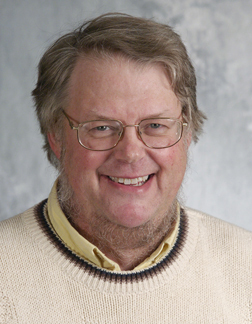 “We think this is a pretty good option,” Thein said. Ultimately, it’s up to an administrative law judge in St. Paul to determine the best option. Judge Kathleen Sheehy must make a recommendation to the Public Utilities Commission before a series of hearings that are tentatively scheduled for this October. Trouble is, no one knows exactly when Sheehy’s office will reopen or her staff will be able to circulate all of the public comment filed during the course of CapX2020. “I figure for every week the government is shut down delays things a month on the other end,” Broberg said. A continuing government shutdown could delay construction for up to a year, Hillstrom said. CapX originally wanted to break ground sometime next year, Hillstrom said. 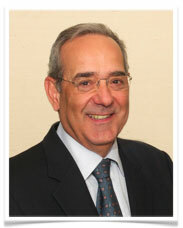 With the government delays, “I think 2013 is a pretty good estimate,” Hillstrom said. Building these types of redundant transmission lines in the first place was a need that has been recognized at the national and international levels, Hillstrom said. An incorrect version of Oronoco Township’s preferred version of the Capx2020 route was provided to the Post-Bulletin. The map was published in Saturday’s print edition. At right is the correct version. 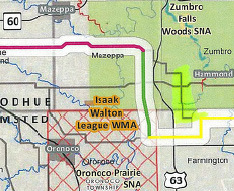 Leaders in Oronoco Township hope to force more of a proposed $500 million high-voltage transmission line into Wabasha County and have hired consultants to come up with an alternative. 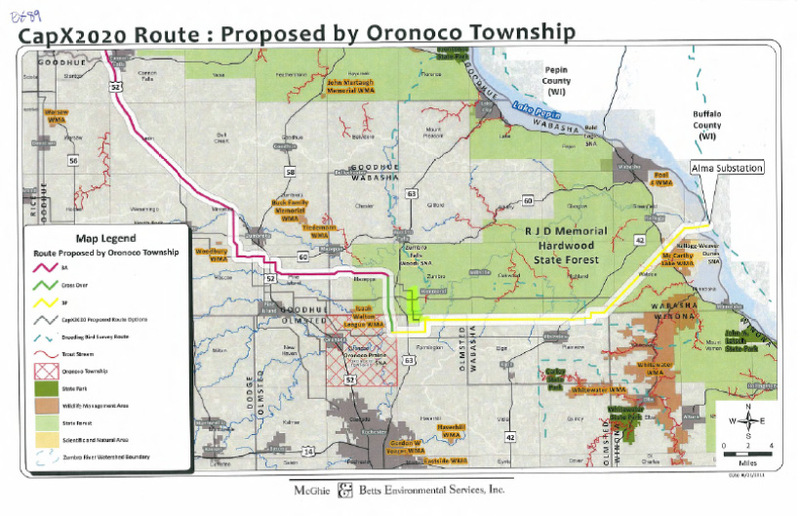 Oronoco Township’s preferred route is a compilation of three routes proposed in a Draft Environmental Impact Statement.